Members of the Brisbane based Pacific Women's Weaving Circle share cultural norms of what it is to be Pasifika living in Australia, and share artistic ideas amongst each other as well as teaching cultural values and protocols, particularly within the context of weaving. Spend time with these women experiencing the community that is created when women sit together and weave. 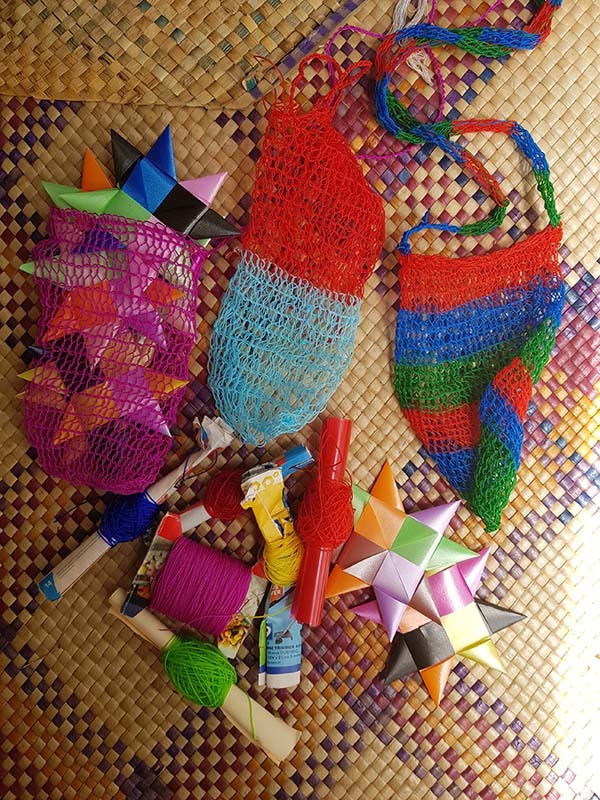 Spend time sitting in a circle learning the star plait weave found throughout the pacific or learn to create a strong and beautiful bilum bag. The Blium is unique to Papua New Guinea and is commonly used by PNG women to carry babies, take vegetables to market, and used as handbags, hats and fashion statements. Share artistic ideas and cultural values and protocols with the Brisbane based Pacific Women’s Weaving Circle as you learn the star plait weave found throughout the pacific with Maryann Talia Pua.